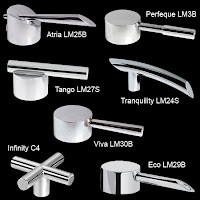 Your source for Kitchen and Bathroom Ideas, Installation Advice & Buying Guides! If you love to ski then the new Ski Shower by Graff is for you. 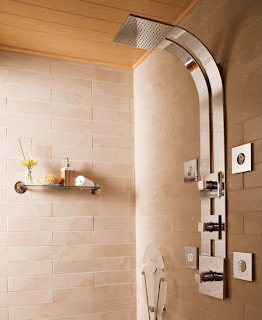 This is the must have shower system for your ski resort home or condo. Its desiged to look like a pair of ski going up your wall with the shower head at the tips of the skis. This luxury shower system features a thermostatic temperature system, which allows a user to select their desired temperature and water will auto-adjust without chilling or scalding. 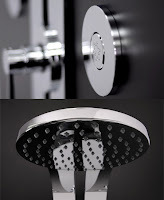 The shower system has a stunning curved shower head arm and the head comes in either a round or square head. 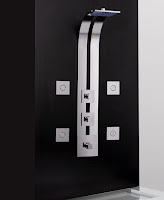 The finish is also stunning with the option for either a satin nickel or a polished chrome finish. 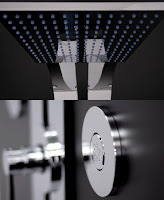 The Graff Ski Shower will truly bring your shower experience to new a new level. The shower system comes with many options depending if you want all the shower jets and accessories. The base system is the shower system connected to the skis. From there you can optional shower jets, diverter valves, custom handles, and side hand shower. So you will need to first pick out your Shower Panel and finish. Then pick out the rough valve or housing system that plumbs into your piping behind the wall. Then you can pick your shower jet, handle style and the optional Handshower set with Slide Bar. 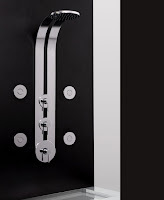 eFaucets.com is the leading online retailer of Graff Faucets and Showers. We ship direct with Free Ground Shipping on all orders over $99. 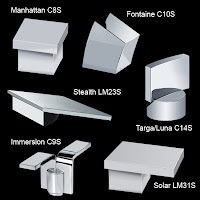 We carry the entire line of Graff faucets ready to ship direct right to your door. 2003-2010 eFaucets.com. Powered by Blogger.